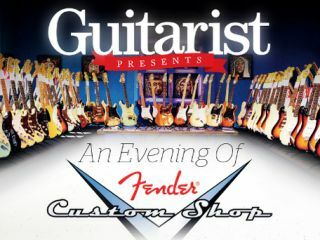 Total Guitar's really-quite-posh sister publication, Guitarist magazine, in association with Coda Music, will be hosting a very special evening dedicated entirely to Fender Custom Shop guitars. 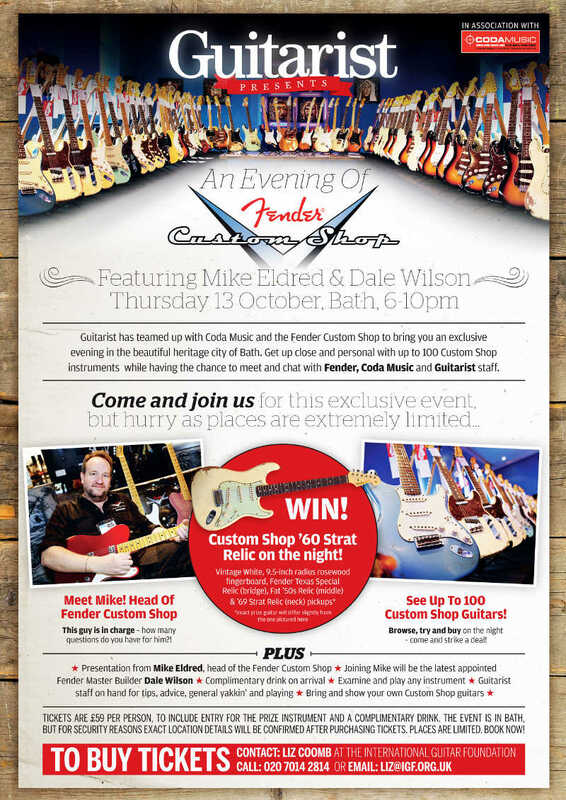 The exclusive 100-capacity event will be hosted in Bath on 13 October between 6 and 10pm and will feature a presentation from Mike Eldred, head of the Fender Custom Shop, a chance to win a valuable Custom Shop '60 Strat and the opportunity to browse, try and buy from a range of 100 Custom Shop guitars. In addition, Fender Master Builder Dale Wilson and, of course, the Guitarist staff will "be on hand for tips, advice, general yakkin' and playing". Current Custom Shop owners are also being encouraged to bring their own instruments and show them off. For security reasons, the location will only be revealed to those purchasing tickets for the event. Tickets for 'Guitarist presents: An Evening Of Fender Custom Shop' cost £59 and include entry to the Custom Shop '60 Strat prize draw and a complimentary drink. Contact Liz Coomb at the International Guitar Foundation on 020 7014 2814 or email liz@igf.org.uk to purchase tickets.